One person CAN make a difference: IBM CEO Ginni Rometty ranks #1 on Fortune Magazine's 50 Most Powerful Women in Business for the second year in a row. 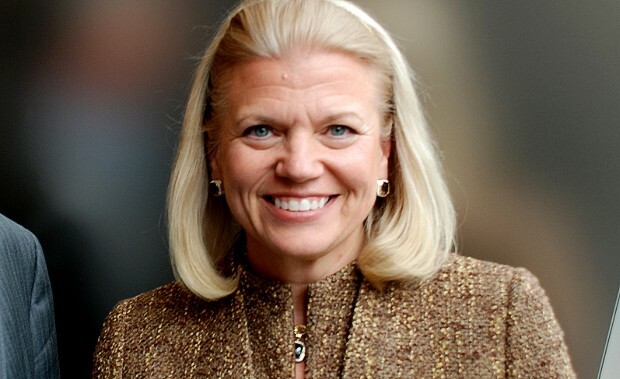 IBM CEO Ginni Rometty ranks #1 on Fortune Magazine's 50 Most Powerful Women in Business for the second year in a row. In her second year as CEO, Rometty is sinking IBM's resources into commercializing Watson, the Jeopardy-playing supercomputer. Rometty believes that Watson, a machine that can not only crunch numbers but also learn things, represents new sales opportunities for Big Blue. She's also pushing into underserved markets—Africa, for example—and picking up new customers in marketing and finance, to keep the 102-year-old tech company ahead of the competition. Congratulations to Ginni and IBM she is the woman who can and will HEAL the world with Watson! She can end Poverty Hunger Climate Change and many other problems by using the most powerful forces in the world! Collaboration Innovation Education Kudos to Ginni Rometty a true World leader in Sustainable Business!